Space Trek proudly offers programs that are unique and cutting-edge. With our professional and highly trained instructors, Space Trek educates and entertains students of all ages and interests. From programming Mars Rover or a robotic arm to building a rocket and testing it’s engine, Space Trek will inspire & motivate scouts for the future! Merit badges & patches in space and related subjects can be earned with Space Trek. Programs are available for Boy Scouts & Girl Scouts. All participants will receive a customized Space Trek patch. Spend a day at Space Trek and earn a merit badge! Each merit badge day program includes lunch and snacks. Learn about the exciting field of space exploration. 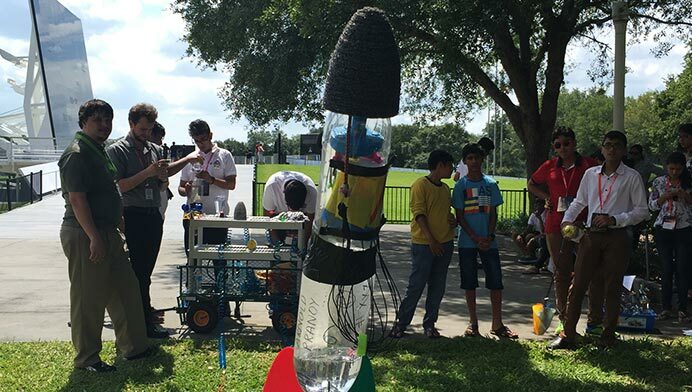 Build and launch model rockets. 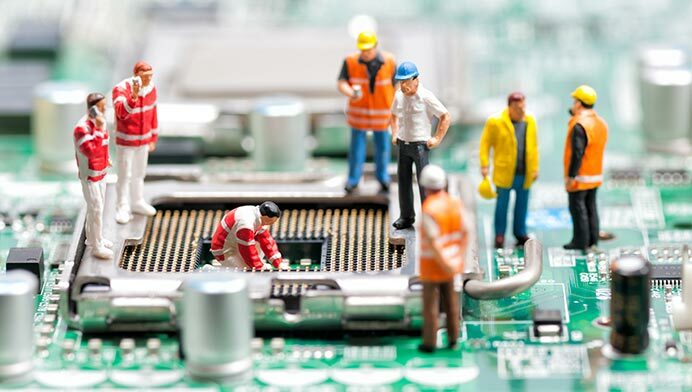 Find out what it’s like to be an engineer and how to think like one. 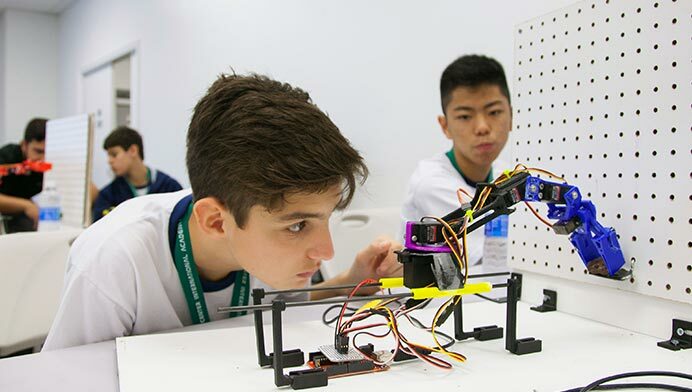 Construct and operate a robotic arm and program it to move objects. Explore the hi-tech world of robotics. Construct and operate robots. 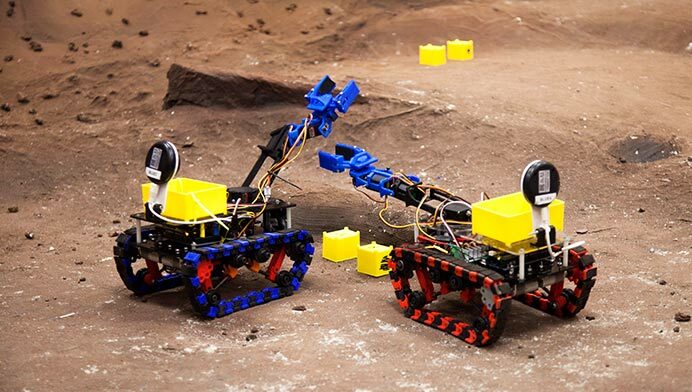 Understand how sensors work and program a robot to complete a complex task. Find out how different electronic components work, and learn to design and build a circuit. Learn about the Arduino platform and program it to accomplish real world tasks.